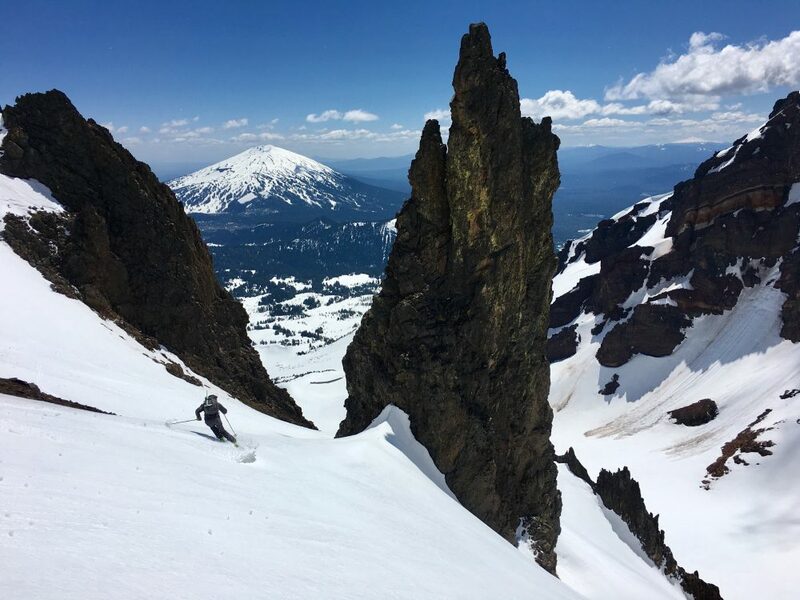 This post in our long-running Wednesday Workout series takes the 10,000-foot view — almost literally. 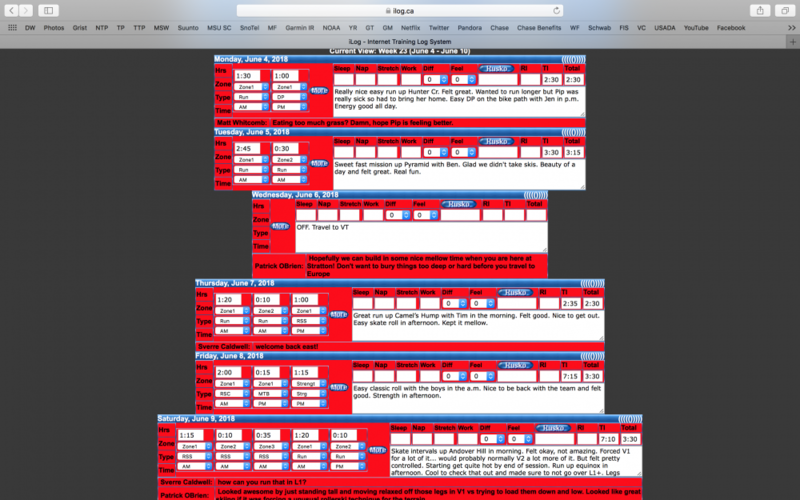 The nuts and bolts of it are this: we’re posting Simi Hamilton’s training log from Monday, April, 3oth thru Saturday, June 9th. Hamilton needs no introduction to FasterSkier readers. In any case, here are Hamilton’s basics. Thirty-one-year-old sprint specialist who popped a 12th last season in Seefeld, Austria in a loaded 15-kilometer mass start freestyle. The seventeenth ranked sprinter on the World Cup. Member of the U.S. Ski Team. Fond of thin air, like any good kid from Aspen, Colorado. On his International Ski Federation (FIS) profile page, two small dashes “–” leave a void describing Hamilton’s hobbies. Let’s assume this was an oversight, with too little room to honor what Hamilton sees as more than a hobby. He is an athlete clearly satisfied with skiing fast as he’s been a top-ranked World Cup sprinter since 2012. But if you follow Hamilton on social media or the Stratton Mountain School blog, there’s the occasional glimpse into Hamilton’s “hobbies”. If it’s an outdoor activity involving larger than normal size mountains, moving fast and light, pushing what even fit athletes would consider sustainable aerobic thresholds, Hamilton is home. 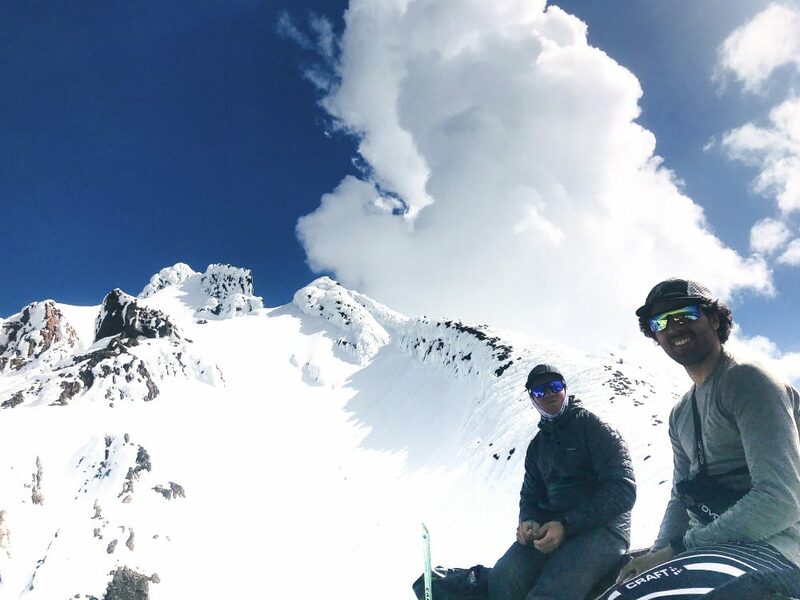 Simi Hamilton (left) with Akeo Maifeld-Carucci (right) on the southeast ridge of Mt. Jefferson. 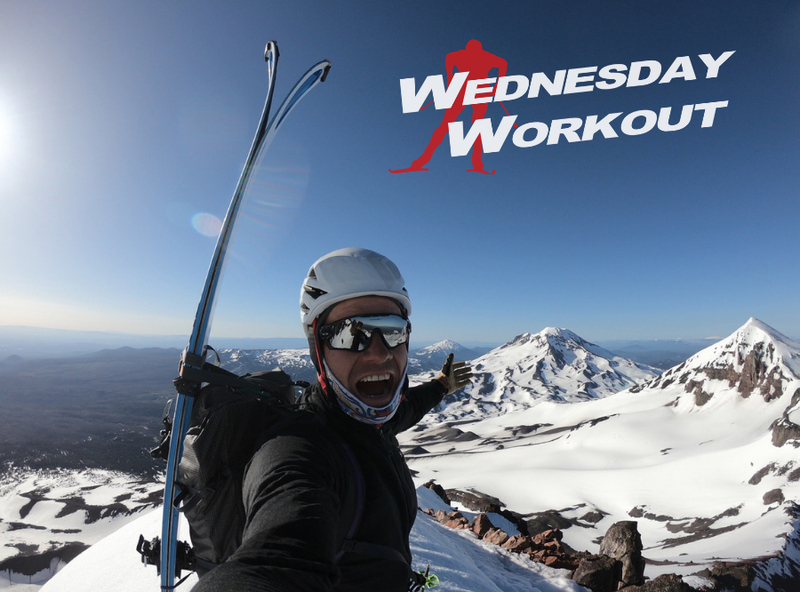 Why present a broad-in-scope training log snapshot for a Wednesday Workout? By now, we are guessing most cross-country skiers are seeking snow. They have logged hundreds of hours. There’s been the OD, the L1-L5, the 30 x 30s, the 4 x 4 min. And we are also hoping there’s been plenty of “hobby” time. If there’s something to learn from Hamilton’s logs, it’s to have fun. Technically speaking, skiing has many forms. Maybe skiing in the mountains is what his coaches had in mind. If you’re reading this now and you’re wearing a race bib at some point this season, we hope you’re having fun. We hope you’ve had fun. We hope you’ve logged some full-blown adventure days. 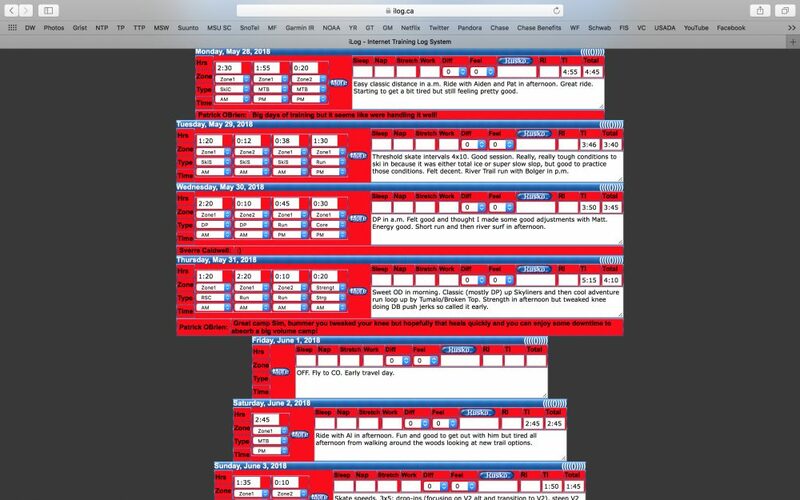 Simi Hamilton’s training log week of 4/30-5/6. 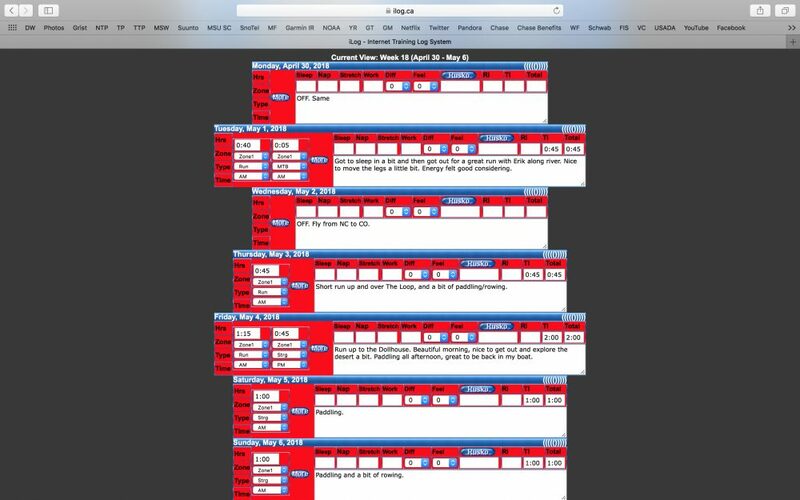 Simi Hamilton’s training log week of 5/7-5/13. 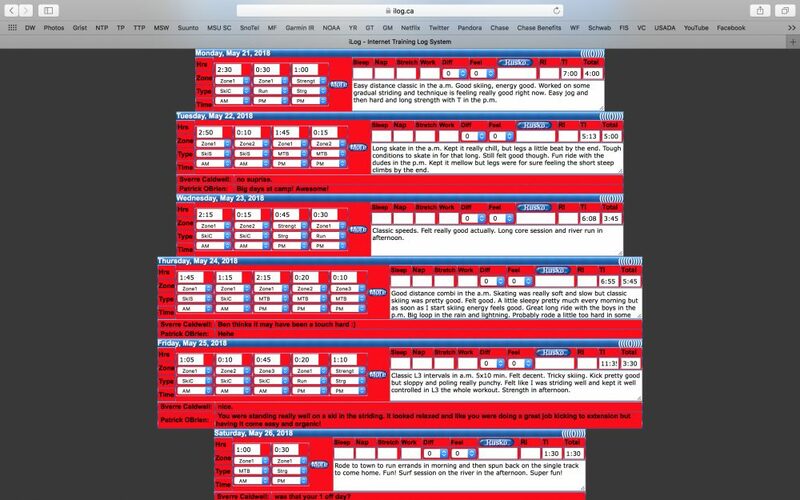 Simi Hamilton’s training log week of 5/14-5/20. Simi Hamilton’s training log week of 5/21-5/26. 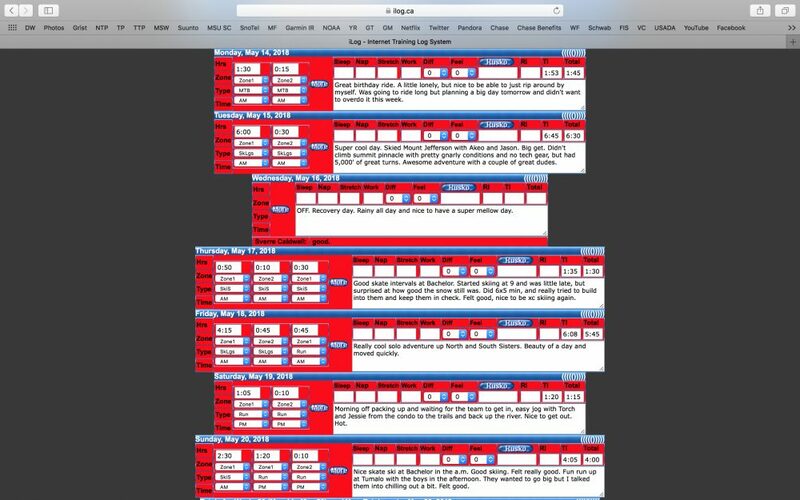 Simi Hamilton’s training log week of 5/28-6/3. 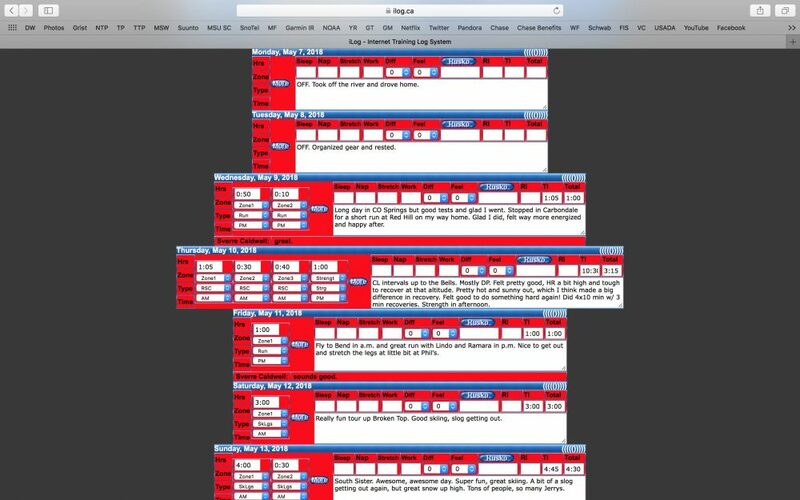 Simi Hamilton’s training log week of 6/4-6/9.